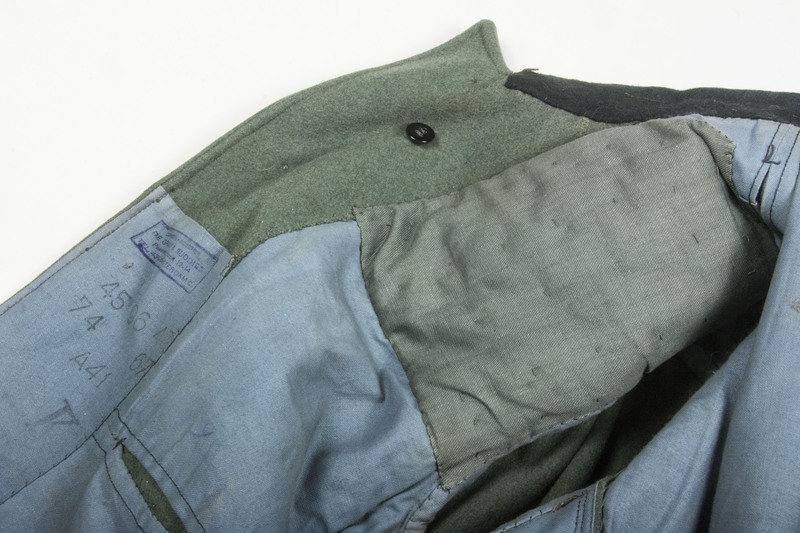 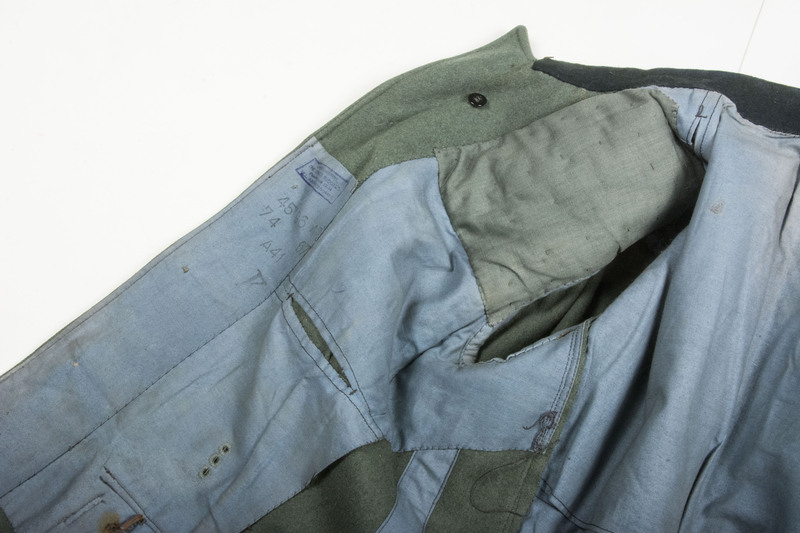 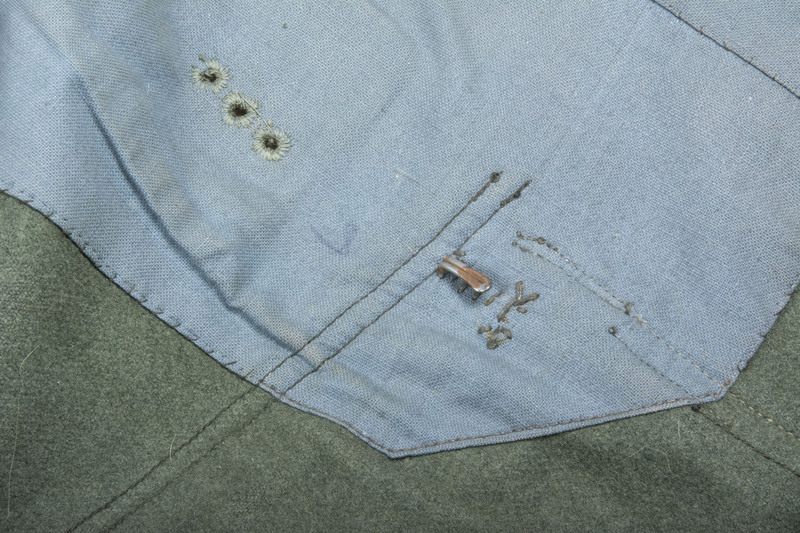 Stunning M36 field blouse for a Spiess in a Artillerieabteilung. 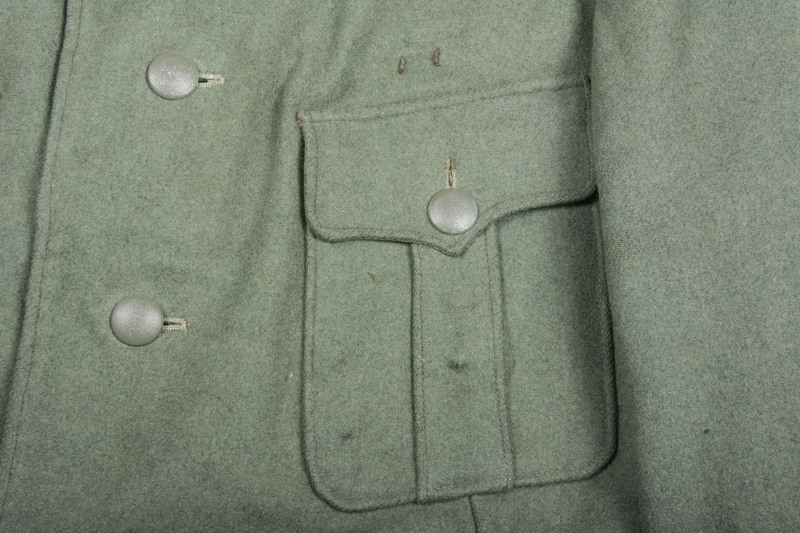 Nicely tailored M36 tunic with fully originally sewn insignia. 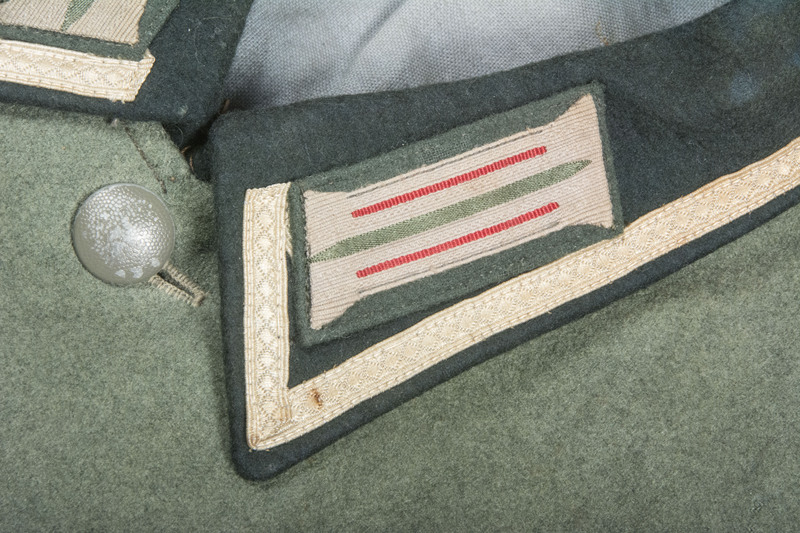 The tunic is a nice tailored medium size, double loops for a ribbon bar and holes evidence for the wear of several awards. 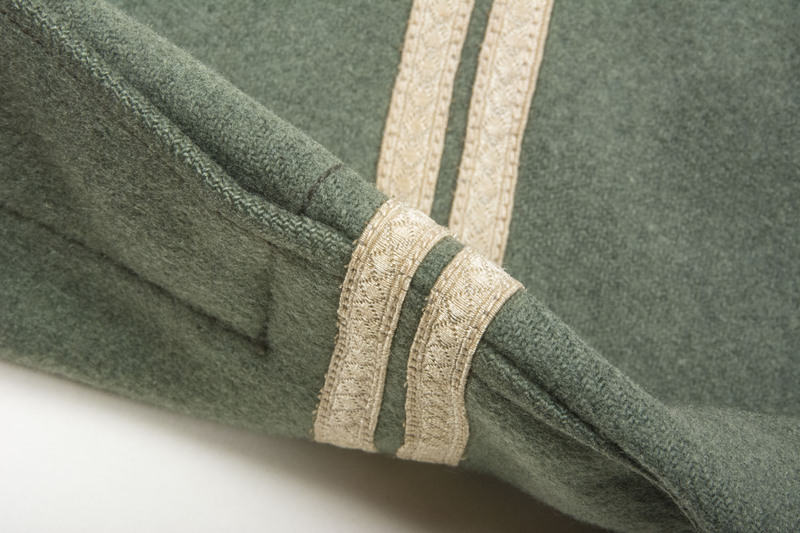 The tunic has a nice lighty worn appeal that would nicely compliment any collection. 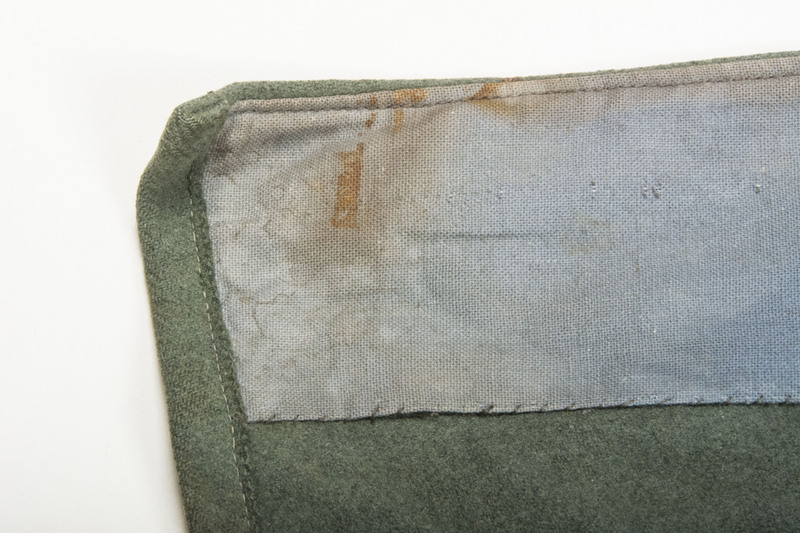 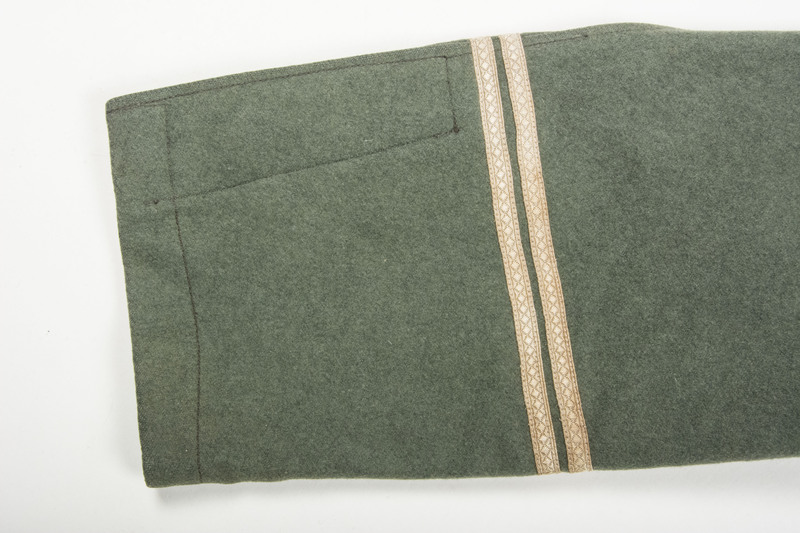 The nap in the wool retains nearly fully except for some of the rough edges of the pockets. 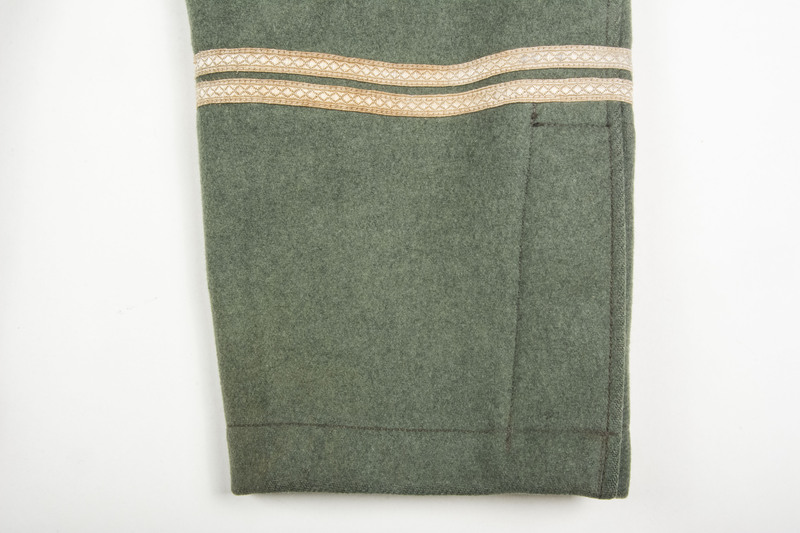 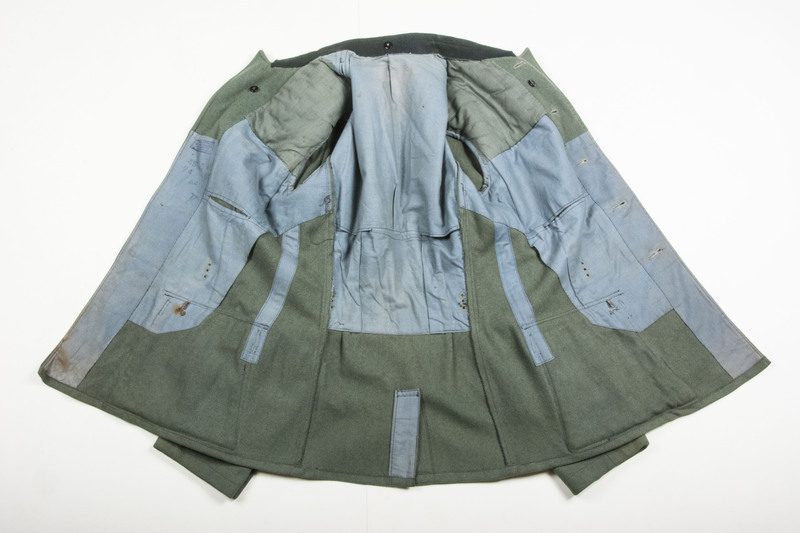 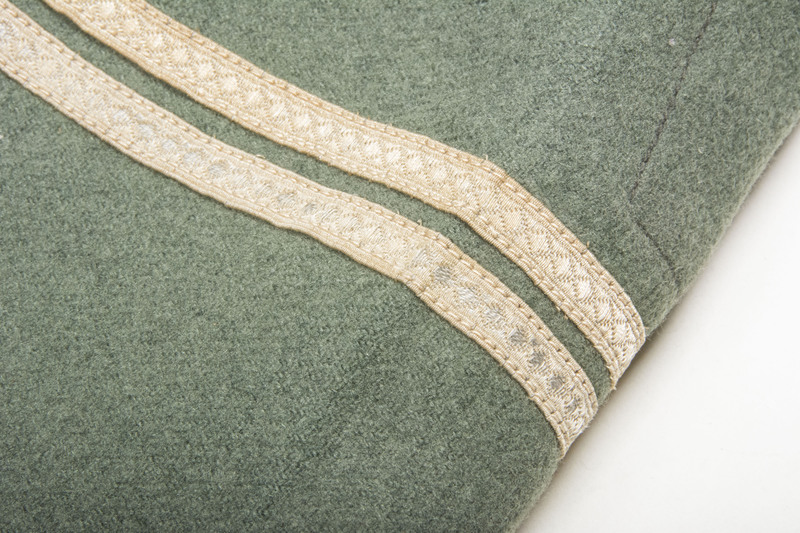 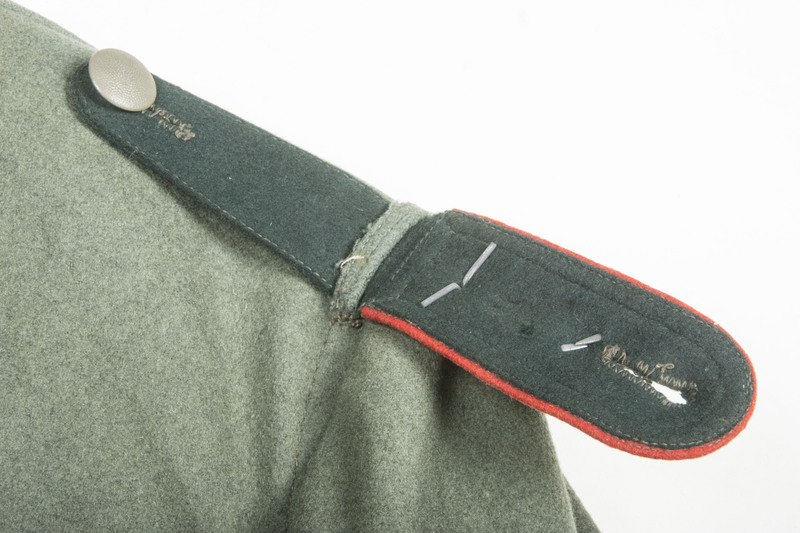 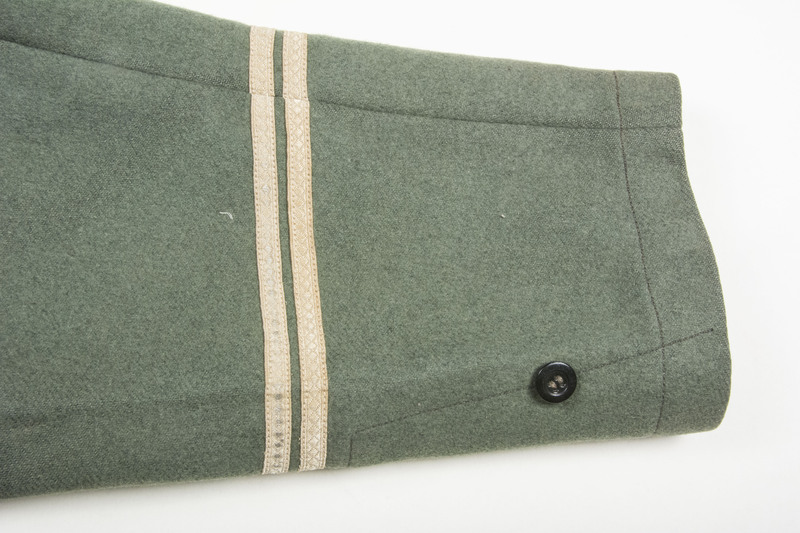 The tunic has a set of privately tailored M36 shoulderstraps for a Hauptfeldwebel der Artillerie. 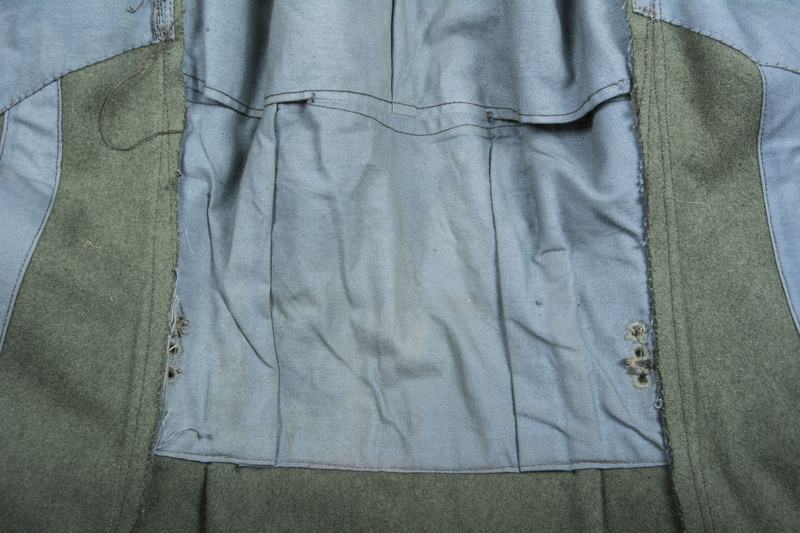 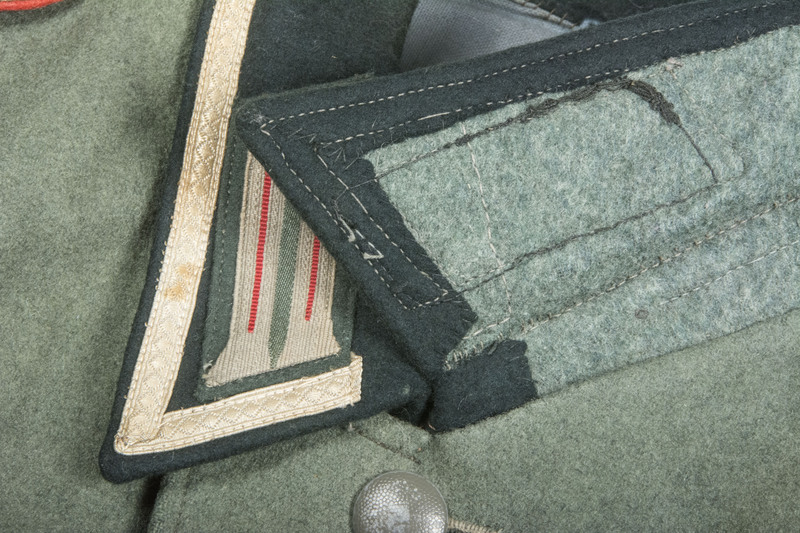 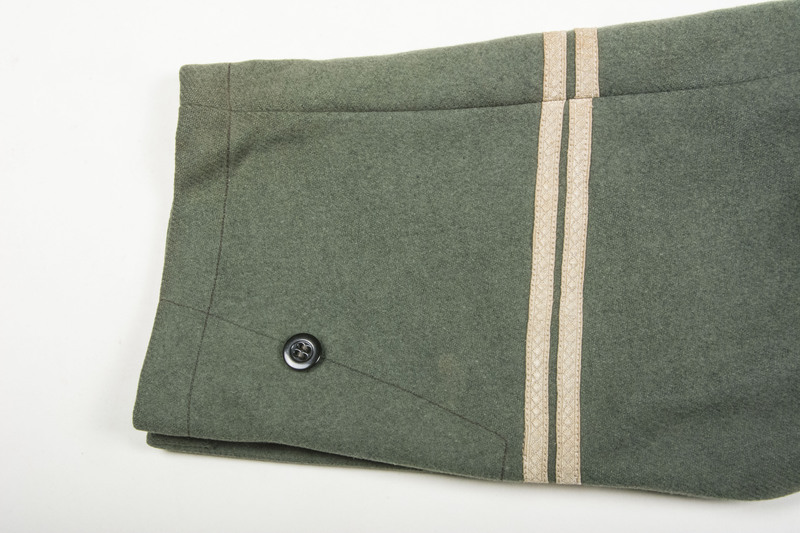 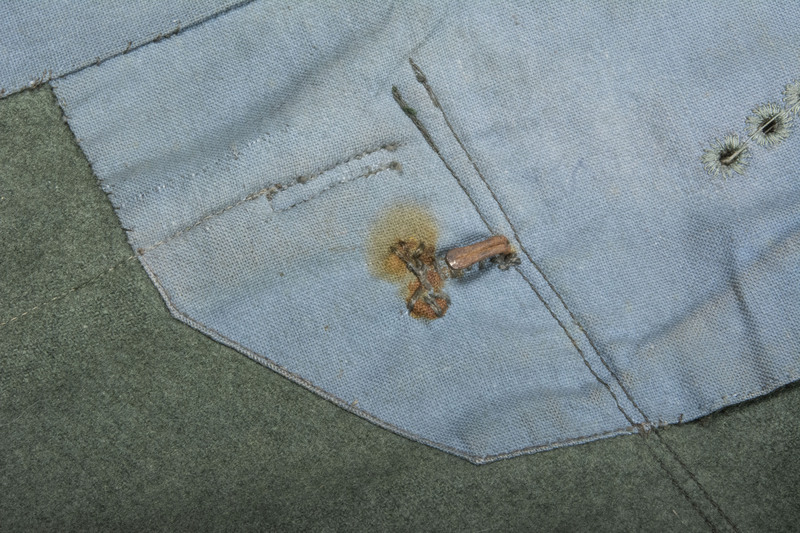 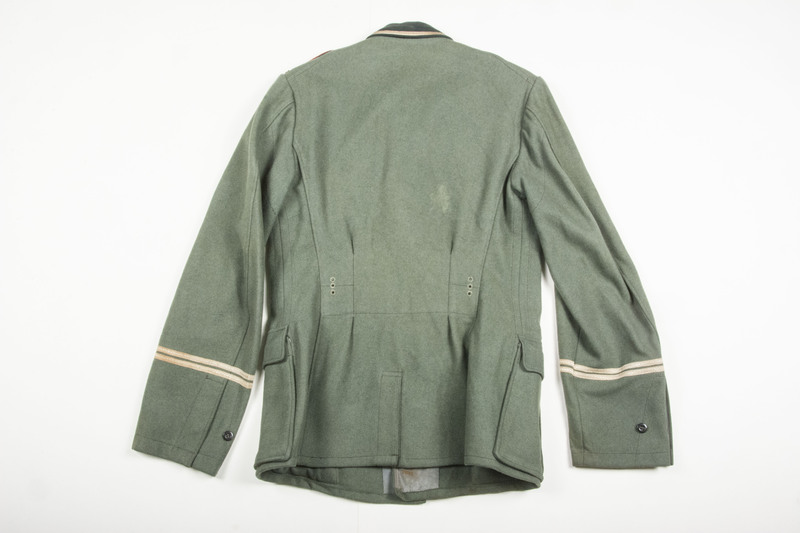 On the bottom of both sleeves two long bands of synthetic Tresse are sewn indicating the Hauptfeldwebel was also the Spiess of the Kompanie. 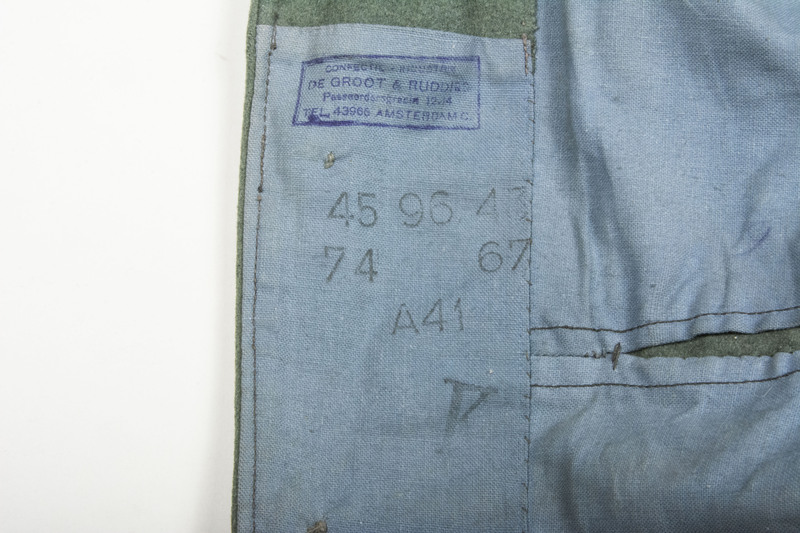 The tunic was manufactured and later tailored in Amsterdam retaining a large stamp with the tailors details. 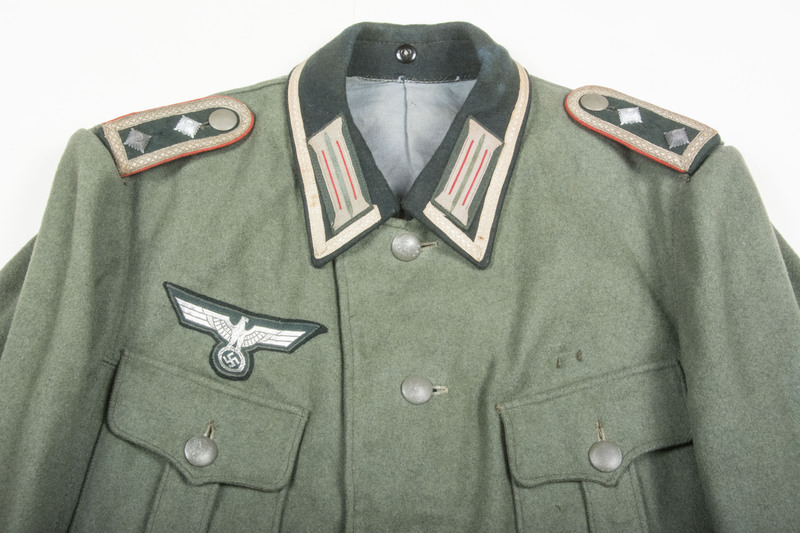 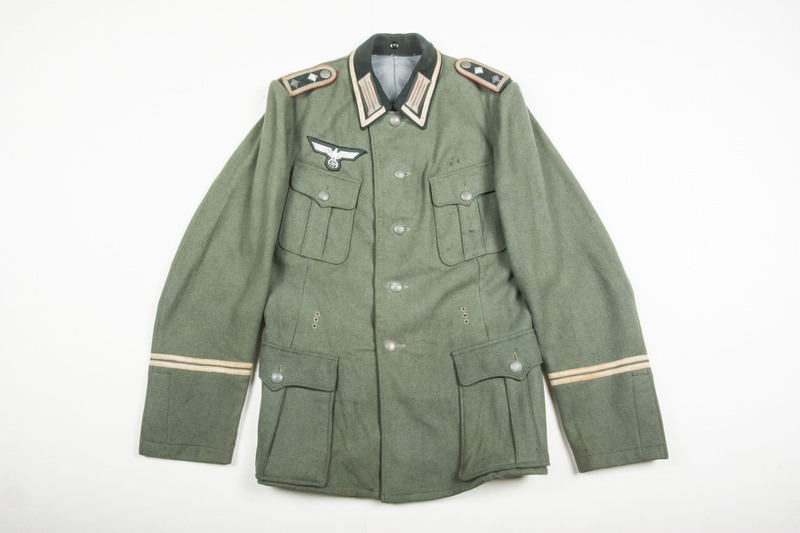 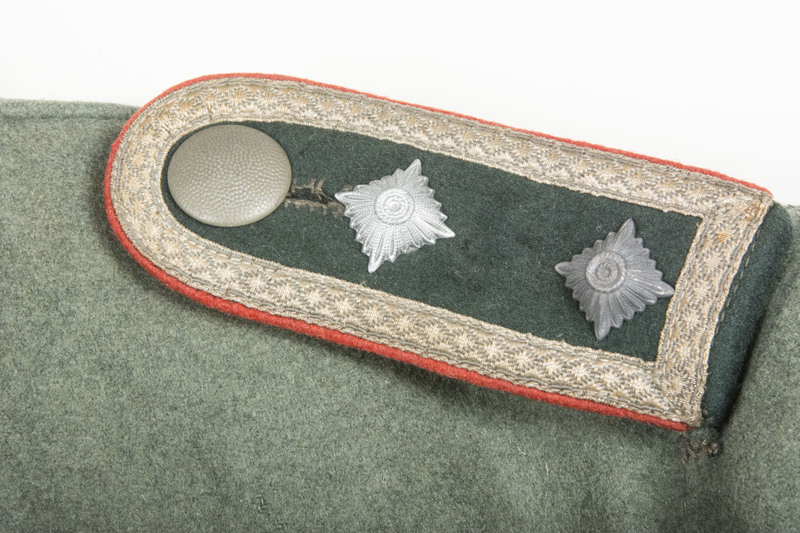 The tunic has been positively discussed on Wehrmacht-Awards. 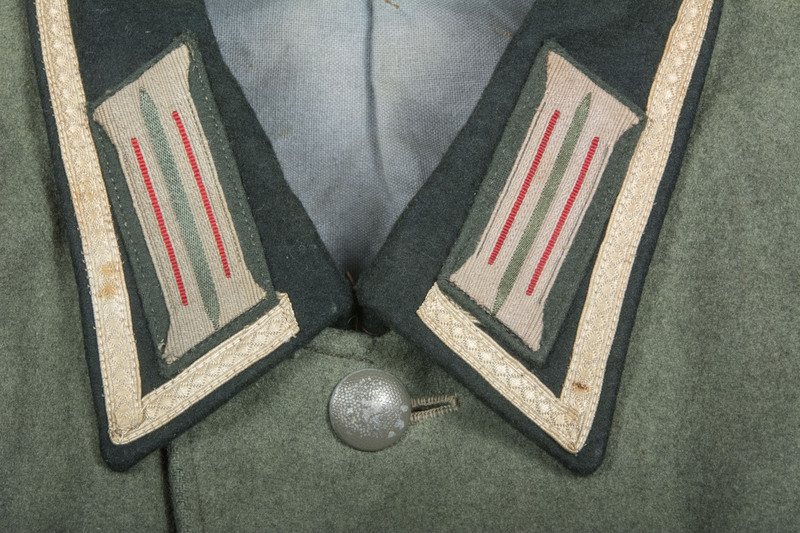 A rare untouched tunic in great condition that is a stunning display base for ribbonbars and awards!